A good explanation of what and how. I would have liked to have seen you do why and why not. Why too much leading is a negative when it comes to readability. Same for letter spacing/tracking. Also, too-tight kerning may not be good but a tightly kerned headline can be. I dislike when an author says nothing matters but this (topic). Readability is crucial to a visitor experience online, but so is design, color, website organization and a plethora of other factors that affect user experience. Please don’t demean other important aspects of creating a website. Secondly I was hoping for more of a discussion of Leading, Tracking and Kerning when using html (Dreamweaver) or WordPress and what editor plugins you would recommend when creating WP sites to control typographic preferences. I don’t see the character tools in illustrator or photoshop being useful in this instance. Why not add in InDesign too, at least it is a layout program. Hey, Paul! InDesign should work the same as Photoshop and Illustrator. Really, any of the text tools in Adobe software should be pretty similar. And you’re absolutely right about color, design, organization, etc. being incredibly important, too. I didn’t mean to come across demeaning — I am really sorry if I did. The primary reason I say that readability is the most pressing concern is because content being accessible is so fundamental to everything. But then again, I’m a big fan of brutalist design and a lot of that eschews aesthetics for function and is pretty text-heavy. As for editor plugins and HTML to control that stuff, I actually prefer using CSS to hit on anything I can’t get quite right with Divi. I use a lot of text-transform on elements, and text-decoration/font-style, font-kerning, line-height, and letter-spacing are also go-tos for me if I need more granular control. Most of what I do is in the Divi Design tab, but I keep my Custom CSS pretty robust, too. I am personally not familiar with Dreamweaver at all these days, so I can’t comment to that. Thanks for the overview on some things non-designers often forget to use. 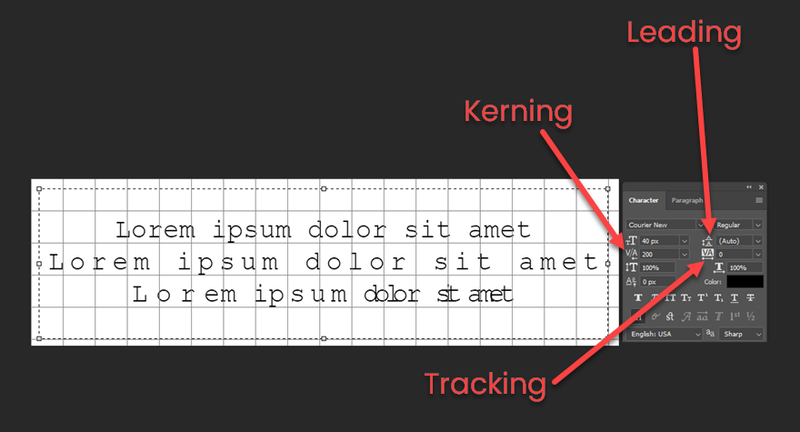 Line-height and tracking (aka letter-spacing) are available in most builders. I would love to know more about the font-kerning property! I do find letter-spacing and line-height indispensable to creating a well-designed web page. I have not found much on font-kerning with CSS. Typography on the web has made vast improvements, but is still crude compared to print. But, different media require different strategies. I find there are very controllable things we can do that contribute to the effectiveness of type and design on the web: a clear size ratio(and/or text-transform, color etc.) differentiating hierarchy of headings/body text differences, line-length, and contrast. Did I miss something…where’s the part that shows me how to apply kerning, tracking and leading with Divi?